Jon-Paul was born and raised in Wales. He graduated in 1996 from Bristol Medical School in the UK having been awarded his MB ChB. He completed his residency and general surgical training in hospitals throughout the South West of England, following which he successfully completed his examination and was awarded his MRCS (Membership of the Royal College of Surgeons). Prior to commencing his higher Urological training Jon-Paul undertook a 2 year period of research at the Bristol Urological Institute in the UK into bladder cancer which culminated in the award of his MD. Jon-Paul then completed his higher Urological training in Oxford and successfully obtained Fellowship of the Royal College of Surgeons in the UK (FRCS (Urol)). 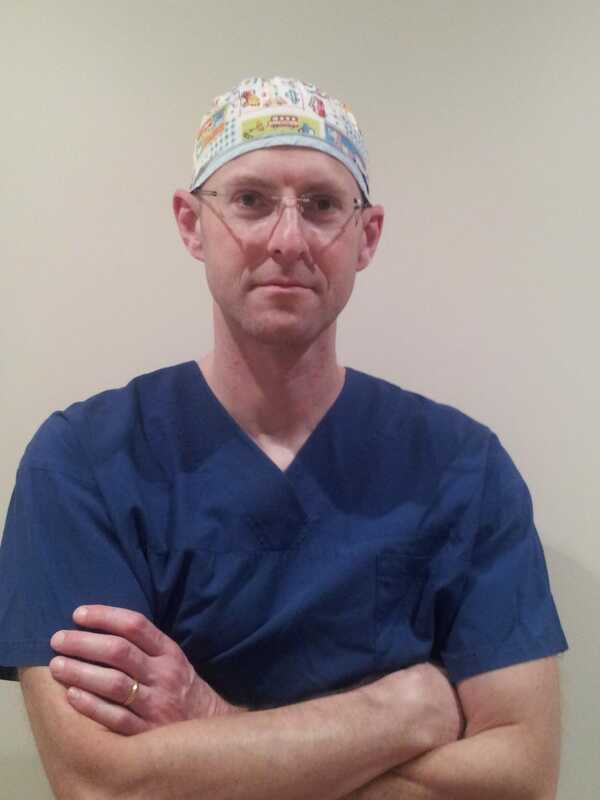 As an overseas trained Urologist Jon-Paul was required to undertake the Australia Fellowship examination, which he successfully completed resulting in him also being awarded Fellowship of the Royal Australasian College of Surgeons (FRACS (Urol)). He then undertook a year's Fellowship at the Royal Brisbane and Women's Hospital and then made a decision to remain here in Queensland! Jon-Paul has worked at Redcliffe Hospital since 2009. His interests include general urology, all urological cancers, stone disease, benign prostate disease and female urology. He remains committed to research and has published multiple papers in peer reviewed journals, and has presented at numerous national and international Urological meetings. He is actively involved in the teaching of both medical students and junior doctors and is a University of Queensland Associate Professor. He is married and has 2 children, his outside interests include soocer, rugby, cycling and almost any sport!